Tanzania’s untapped potential to become a giant exporter of leather products is expected to be realized as China opens its doors to Tanzanian leather exports. The leather industry in Tanzania will boost the sector’s contribution to the country’s economy as the industry creates an environment conducive to trade and investments. 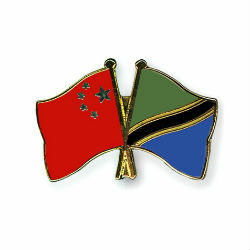 The leather trade between China and Tanzania results from the historic visit of Chinese President Xi Jinping to Tanzania earlier this, when he signed an agreement pertaining to animal and plant products and direct leather exports. China had been importing leather from Tanzania although this was via third party trade mainly Italy, thus the leather exports from Tanzania were denied a substantial revenue. Official records reveal that Tanzania skin and hide export earnings in 2012 increased by 23.5 % to 8.4 billion TZS, a figure indicating that the country’s leather industry is operating well below capacity, with Chinese investors and leather traders taking interest in Tanzanian leather export market, the sector is set to grow to it’s able capacity.